The latest version of the Apple’s iPhone operating system iOS7 has been launched at the company’s Worldwide Developer’s Conference, San Francisco. As the CEO of the company Tim Cook says, “it is the biggest change to iOS since the introduction of iPhone”, let’s have a look at some of the changes and new features. The OS has simpler flat icons instead of the fizzy design in the previous versions. The wallpapers boast of a 3D effect that makes it appear some distance away from the main icons. “When you tilt the phone, the perspective changes,” claimed Apple. We also have now circles for interfacial setting and wheels for browsing through photos. The slide to unlock screen has been replaced by the weather and time options. In short, the whole visual design is transformed, looking almost like a glass window connecting different screens seamlessly along with newer color schemes, typography and button shapes. It is now easy to view settings and access tools like wi-fi, brightness, music controls etc by swiping up from the bottom. Also, the frequently used settings are put in front, accessible from any screen. The current notification pull down menu is expanded to include a “today” option in addition to calls and messages which tracks the current happenings. The control center makes it possible to ensure that the most used apps are given priority in the background cycles. Apple has worked upon the multitasking features in depth in this version. Instead of only getting a thumbnail of an opened app, we get its pretty tall and decent preview. Also, swiping away can now close the app. Another brilliant inclusion is the automatic updating feature. Though it saves a lot of time but at certain times, the user might want to review the updates, to which Apple has provided an update turning off option. Camera and photo organization has undergone changes too. We can select the image shot by tapping on the camera surface, including one square configuration suited for “instagram” pictures. The photos are grouped on the basis of time and place, they were taken. The web browser Safari, has a new search box and it is possible to keep many tabs active at the same time. There is also a “do not track” option which prevents unwanted sites to keep a tab on you. While Airdrop, a peer to peer file sharing service is added in iOS7, the same will only support iPhone 5, 4th generation iPad and iPad Mini. The new iTunes radio includes features which enables the user to construct a space around his favorite artist and stations. Siri has upgraded capabilities too as the voice assistant can now take actions regarding phone settings, playing a voice mail, turning on Bluetooth etc. 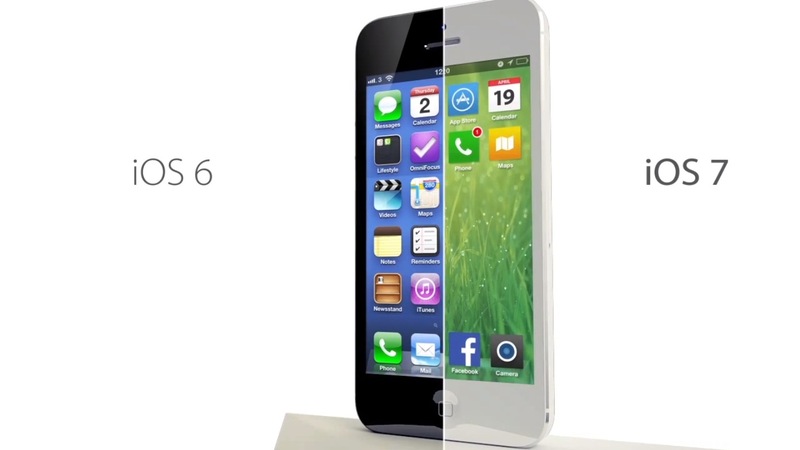 “We see iOS 7 as defining a new important direction,” Apple said. Unfortunately, this enthralling new OS won’t reach general audience before fall this year. Only the registered app developers can enjoy this crack of the version for the time being.